5.1 Exercise 1: Hue has value! 5.2 Exercise 2: Top or bottom? Most textbooks and software manuals in the current market do not include art and design history or visual principles. These books synthesize historical examples and traditional studio foundation exercises into smart, well-paced digital studio exercises. See it for yourself in Chapter 5 of Digital Foundations, where we explore Illustrator’s Color Picker window through Joseph Albers’ color exercises. Digital Foundations: Introduction to Media Design with the Adobe Creative Cloud, Revised Edition by xtine burrough & Michael Mandiberg is licensed under a Creative Commons Attribution-NonCommercial-ShareAlike 4.0 International License, except where otherwise noted. 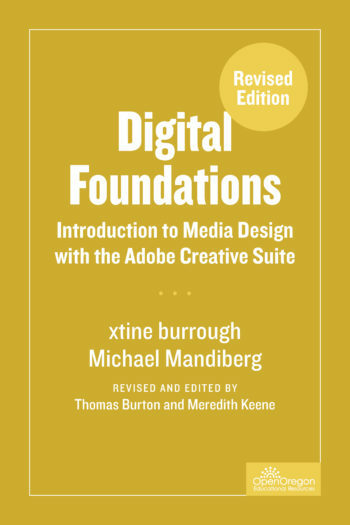 “Digital Foundations – Intro to Media Design” by Xtine Burroughs and Michael Mandiberg is licensed under CC BY-NC-SA 3.0 / This edition is a derivative from the original work, revised and edited by Thomas Burton and Meredith Keene. Content is available under Creative Commons Attribution Non-Commercial Share Alike unless otherwise noted. 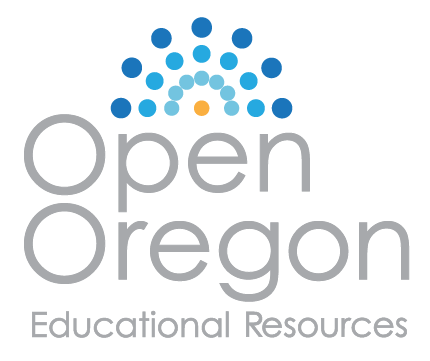 This book is an OER (Open Educational Resource) and is provided at no cost to students.